From the moment you call, we begin considering the specific needs of your loved one. We ask questions during your call to form a basic needs assessment. Then we set up an In-Home visit with your family, including your loved one who will ultimately receive our care. This visit enables us to gather even more information, answer questions and help your family understand how Right at Home can help. After our initial meeting, we`ll develop a Custom Care Plan for your loved one. Once you approve the Custom Care Plan, we begin our search for the right person to implement that care. 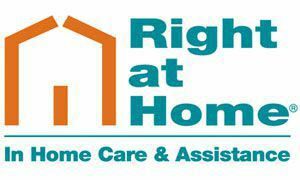 Our Right at Home Team members make unannounced visits to the home of those who are in our care to ensure caregivers are following the specifics of the Custom Care Plan.